The demonstrations of Iga Warrior are known for their quick reflexes and effective techniques, both with and without weapons. The Iga Warrior demonstration team will show their skills on Saturday 13th of April at Elfia. Afterwards, you can join them in a workshop. Do you have what it takes to be a ninja? The Iga Warrior is the longest active organisation providing Ninja training in the Netherlands. 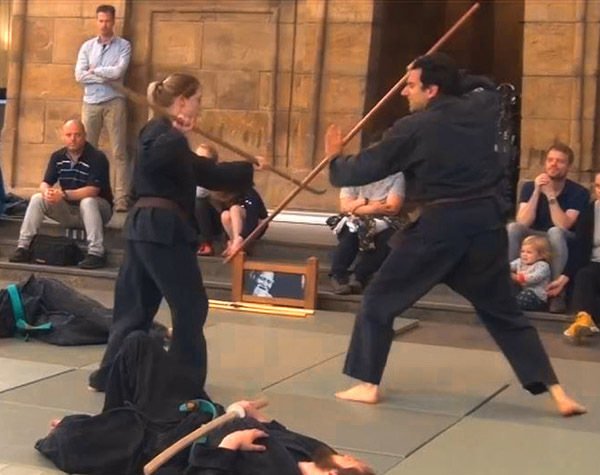 The Iga Warrior demonstrations team already gave demonstrations at martial arts, science fiction, and manga/anime events. They have been several times on national television and they gave demonstrations at some children programs. You can watch these demonstrations here. In addition, you can find more information about their ninja training, samurai techniques lessons and modern self-defence class. Come check out their demonstration on Saturday and join in on the workshop!